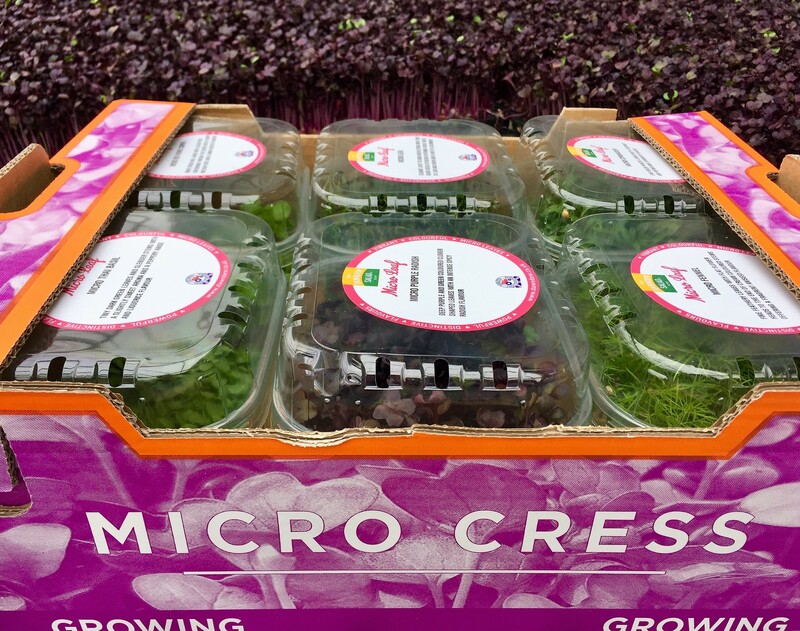 Developed for chefs, restaurants and sandwich shops, our new Micro Leaf Catering Box contains 6 different varieties of Micro Leaves packed in double lidded punnets and rotated on a 3 week programme. Chosen for their distinctive flavours and vibrant colours, our 18 Micro Leaves have their own individual characteristics: Micro Apple Cress, Micro Chilli Cress, Micro Coriander, Micro Daikon Radish, Micro Dill, Micro Fennel, Micro Garlic Chives, Micro Green Sorrel, Micro Leek, Micro Lemon Gem, Micro Mushroom Cress, Micro Orange Cress, Micro Parsley, Micro Purple Radish, Micro Purple Shiso, Micro Red Veined Sorrel, Micro Rocket and Micro Thai Basil. The Micro Leaves in our new Catering Box are supplied as living products. Grown in the UK, our crops are certified to the highest standards and available all year round. Packed with flavours, Micro Leaves are nutritious, visually distinctive and low in calories!